BRYAN EATON/Staff photo. 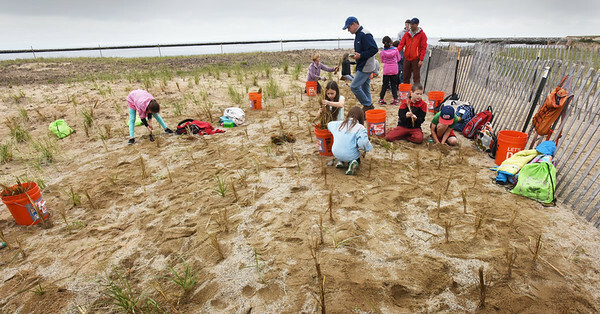 Molin Upper Elementary School fourth grade students helped plant dune grass on Plum Island. They were helping out with the University of New Hampshire's Sea Grant Program.